On a clear winter night in upstate New York, two young men break into a house they believe is empty. It isn't, and within minutes an old woman is dead and the house is in flames. Soon after, the men are caught by the police. Across the county, a phone rings in a darkened bedroom, waking a pregnant woman. It's her husband. He wants her to know that he and his friend have gotten themselves into a little trouble. So Patty Dickerson's old life ends and a strange new one begins. 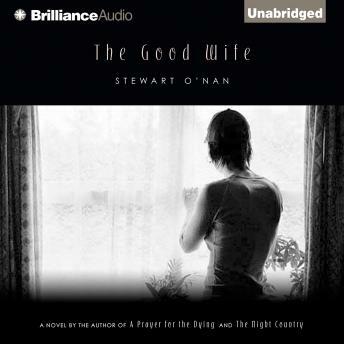 At once a love story and a portrait of a woman discovering her own strength, The Good Wife follows Patty through the twenty-eight years of her husband's incarceration, as she raises her son, navigates a system that has no place for her, and braves the scorn of her community. Boring: plot, characters, writing. The same issues over and over and over for years in the lives of the characters.